Westminster is located in Oconee County, the northwestern county in South Carolina. The market access is above average with a short distance to Interstate 85, giving close proximity to Atlanta, GA and Charlotte, NC. 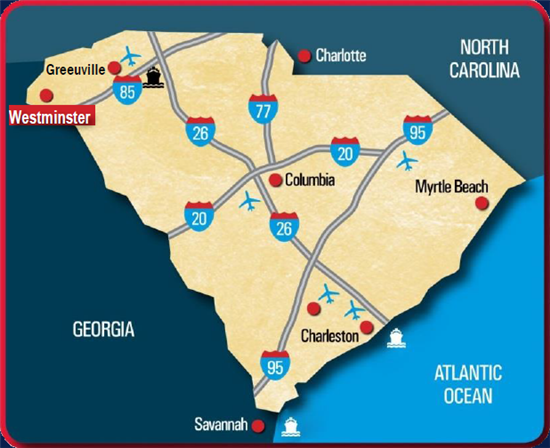 Westminster has rail access in town, just miles away from international and regional airports, and the SC Inland Port.